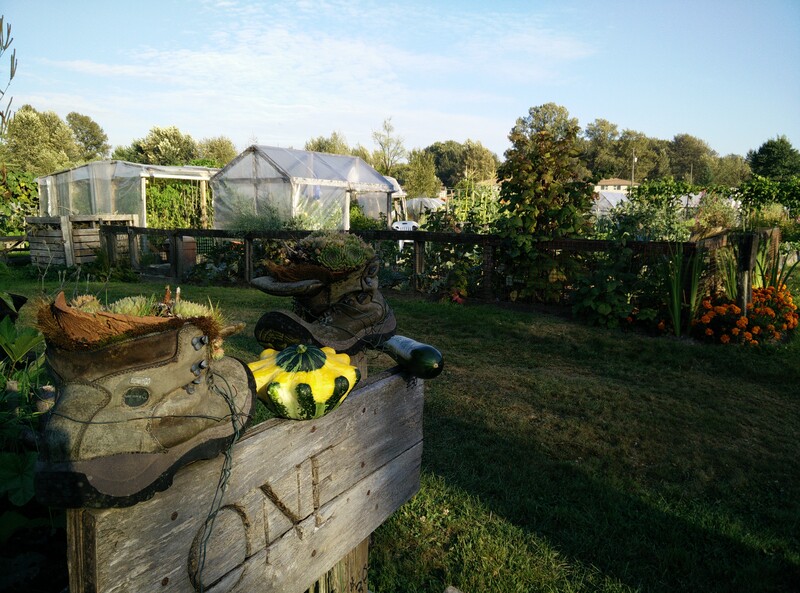 Today, we embarked in our voyageur canoes and paddled down to Colony Farm – the largest community garden in Metro Vancouver. There, our workshop leader told us about the significance of place, and challenged the camp participants to form teams and approach one of the gardeners to ask them about what the garden means to them. I of course loved this challenge, as it encouraged talking to strangers. I decided to join in on the fun, and approached a woman gardening in one of the plots. Her name is Sandra and she is my stranger of the day. Sandra loves the garden and how it brings people together. In that space, she has learned so much about vegetables from other cultures. “The people here are so diverse”, she said with pride. She was munching on some peas, which she shared with my colleagues and I. “I never manage to take any of these peas home”, she said, half frustrated and half completely enamored by their flavor that render them gone in seconds. They were tasty peas. She even gave our group a zucchini and a squash that she had grown all by herself in her garden plot. Her kindness and generosity were radiant. She managed to share with our students in just a few minutes some of the light that I’ve been enchanted by these last 56 days: strangers can be incredibly kind and generous, and sometimes all it takes is a “hello” or a thoughtful question to be gifted with an inspiring story.